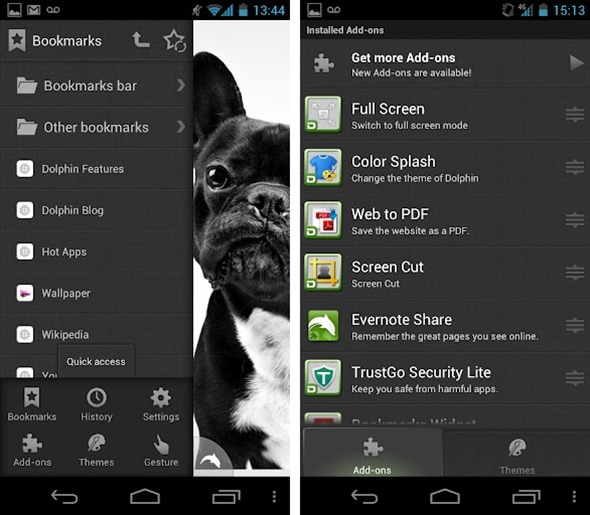 As far as mobile browsers go, Dolphin has built up a reputation as one of the best. With a vast range of useful features along with a smooth, gesture-based user interface, it’s claim as the Google Play Store’s number one web browser is not surprising. 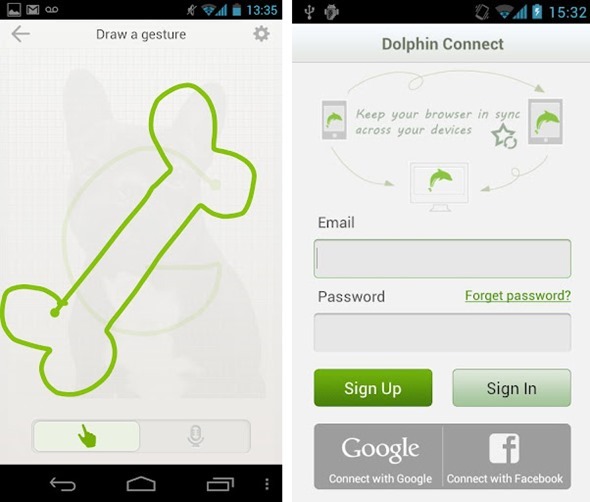 The standout quirk of Dolphin is undoubtedly its capacity to create custom gestures. You can, for example, set your device to recognize a heart-shaped gesture as your favorites/bookmarks, or even just set it to load a particular URL. For some, the feature maybe an unnecessary extra, but it does give Dolphin a certain charm only a handful of apps exude. As well as the gestures, the settings button makes way to reveal the more usual, to-be-expected features, such as selecting your default search engine, font size, whether you want to browse privately, or in desktop mode – which allows you to view webpages in their familiar form as opposed to the scaled-down mobile versions, and we don’t like to see scaled down version of the web now do we? There’s a nifty ‘night mode’ which, in knowing you’ll need less backlight when it’s dark outside, dims the display in order to conserve battery. The Webzine feature (similar to Flipboard, for those familiar, but not as pretty), offers fast webpage loading by removing all of the advertisements and fuss, allowing you to just read the bits you’re interested in. 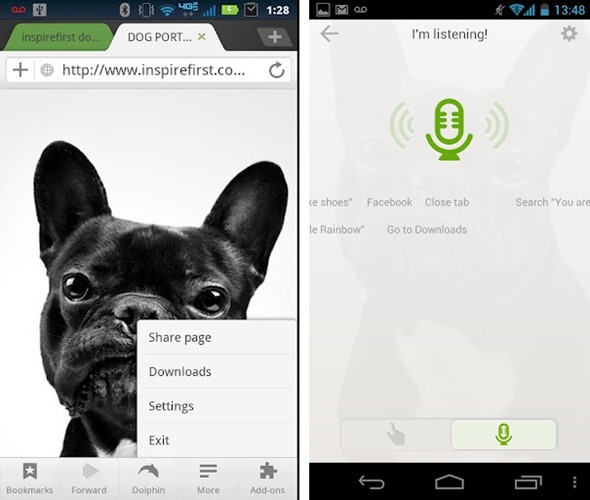 From start to finish, it makes you feel like you’re testing the perfect mobile browser. Any feature you could possibly want or imagine is present, and functioning with aplomb. The native Android and Apple browsers – while each possessing their respective strengths, just don’t measure up to. It’s absolutely free, and the HD version – designed specifically for the iPad – has also recently been updated, and you can check it out by clicking on the link below. If you’re frustrated with your current browser – or even if you’re not – Dolphin really is the way forward. For those already using Dolphin, the update brings minor changes and improvements to each version, most of which are design-based.